York Humber has an outstanding educational program focussing on career, life and employability skills for students. Our goal is to help all of our students become responsible, respectful citizens, both in school and in the larger community. We offer students many Experiential Learning opportunities including Green Industries, Food Services, Cosmetology, Auto Shop, and Carpentry. We have a growing Cooperative Education department where students can develop real world experiences and skills towards graduation and many other courses designed to increase employability, literacy and numeracy skills. All York Humber students are placed into one of our Intensive Support Programs through an Offer of Placement as a result of an Identification, Placement and Review Committee (IPRC) meeting. 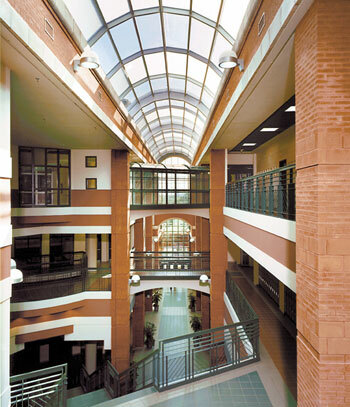 York Humber is not a home school and as such, all students must be placed by the Central Special Education Department. If you feel your Son/Daughter would benefit from our programming, please contact their current school’s Special Education or Student Services department and they will navigate the Offer of Placement process with you. All students who are new to the Toronto District School Board must register at their home school. If a student was deemed exceptional in their previous school district, the home school will follow the Special Education Program Recommendation (SEPRC) process. The outcome of this process will determine which specialized program within the Toronto District School Board would be appropriate for your child.